Seven Seas Pure Cod Liver Oil is a traditional remedy for the relief of joint pains and stiffness. Also used in the treatment of combined A, D and E deficiencies. Recommended Dose: 10ml Daily. 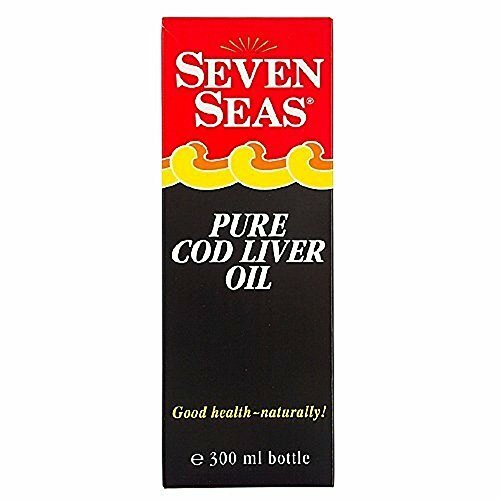 Seven Seas Pure Cod Liver Oil provides a source of vitamins A, D and E and the unsaturated fatty acids EPA and DHA which are essential dietary components. It is a traditional remedy for the relief of muscular pains, joint pains and stiffness. It can be used in children over 15 years old and adults with poor dietary status and in the treatment of combined vitamins A, D, and E deficiencies.Seven Seas natural cod liver oil is purified using Ocean Gold refining technology, a unique patented process. If you have any questions about this product by Seven Seas, contact us by completing and submitting the form below. If you are looking for a specif part number, please include it with your message.